Viking Patterns for Knitting is the result of years of research by Swedish knitwear designer Elsebeth Lavold, who explored patterns of ornamentation found on Viking artifacts, such as swords, buckles, combs, and rune stones. Now, by means of clever knitting innovation (which makes it possible to start a knitted knot in the middle of a sweater), she has adapted these richly intricate knots and braids into gorgeous, fully modern garment designs. The 14 Knitting projects include a hooded sweater with interlaced half-hitches; a cardigan with delicate figure-eight knots; an elegant tunic with serpentine ropework; and father-and-son pullovers inspired by rune stones. Sixty motifs are clearly presented in pictures, text, and charts, including the entire runic alphabet and a striking collections of Viking artifacts. 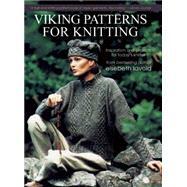 Viking Patterns for Knitting is an adventure in Nordic forms with roots a thousand years deep. Elsebeth Lavold has devoted her life to knitwear design and to exploring just about every imaginable aspect of knitting. Very early in her career she was drawn to cable knitting, Because,” she claims, I am lazy.” With now over thirty-one books on knitting patterns and techniques to her name, her self-proclaimed laziness” may be a bit exaggerated! Lavold’s career really took off when she developed a technique that enabled her, as well as other knitters worldwide, to knit the intricate interlace patterns of the Vikings. 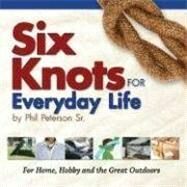 Her third book, Viking Patterns for Knitting, was an instant success and published in six languages. 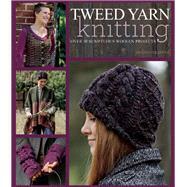 This in turn led to her being asked to create her own yarn line, Elsebeth Lavold Designer’s Choice for Knitting Fever, Inc. More than twenty yarns have been launched with Lavold’s name on them, and she has to date created twenty-six books with design support for her yarn line.